In November 2015, the MLab began work on remaking a reading optophone as the third volume in the Kits for Cultural History series. 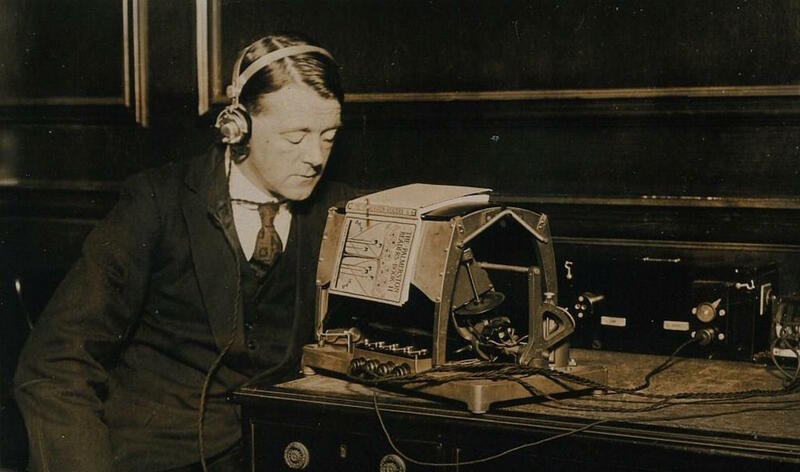 The optophone was a reading aid for the blind that converted print into audible tones during the twentieth century. After significant practice and education, operators learned to distinguish patterns of tones as words or phrases. Here’s a video demonstrating how a reading optophone scanned type. The “Optophone” (ca. 1921): a reading device for the blind. Credit: Matthew Rubery, Heather Tilley, Wellcome Library, London, and Wellcome Images. Today, optophones are interpreted as precursors to optical character recognition (OCR), or the automated conversion of images into machine-readable text (e.g., Google uses OCR to make large amounts of digitized print material searchable on the web). Many origin stories about the optophone stress its invention without attending to key figures and contributions involved in using, maintaining, and developing the reading optophone over time. 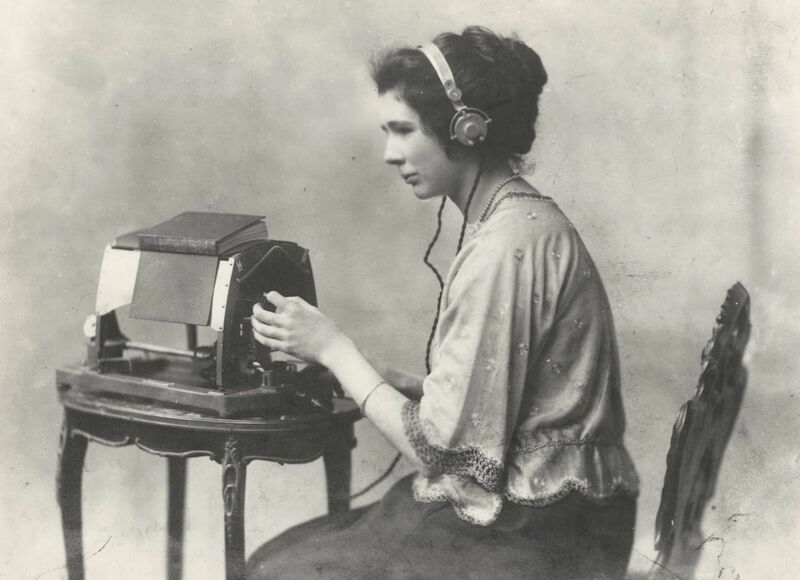 For example, Mary Jameson was one of the optophone’s earliest and longstanding users and demonstrators. But as Victoria, Jentery, and I have argued elsewhere, existing descriptions of Jameson’s work diminish her contributions to the reading optophone’s development. Prototyping the optophone highlights Jameson’s unrecognized labour and that of other optophone users in ways that archival materials, current scholarship, and popular accounts do not. For more on the prototyping process and its implications, see my talks at HASTAC 2016 and Digital Humanities 2016. We have also created a repository for the Reading Optophone Kit. Since 2015, the following researchers have contributed to the Reading Optophone Kit: Tiffany Chan, Katherine Goertz, Evan Locke, Danielle Morgan, Victoria Murawski, and Jentery Sayers. Many thanks to Robert Baker (Blind Veterans UK), Mara Mills (NYU), and Matthew Rubery (Queen Mary University London) for their support and feedback. The Social Sciences and Humanities Research Council, the Canada Foundation for Innovation, and the British Columbia Knowledge Development Fund have supported this research. This project is ongoing, with plans for completion and exhibition in 2017. For more on the project as it develops, see the stream of posts below. You may also visit our reading optophone repository, which contains code and other associated files. 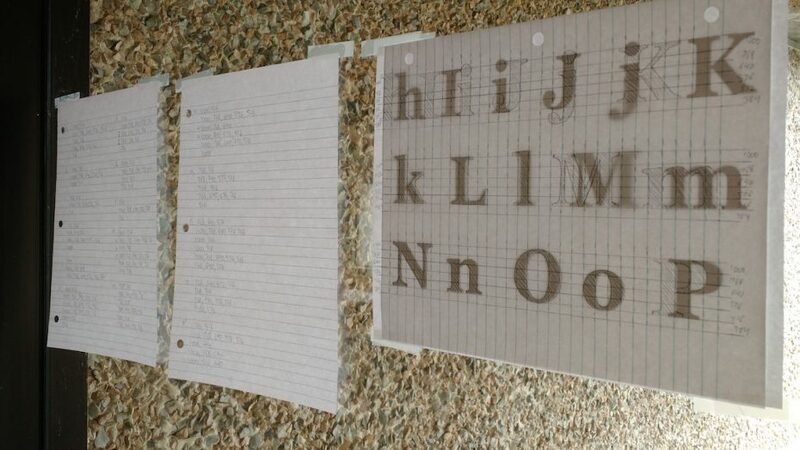 Post by Tiffany Chan, attached to the KitsForCulture project, with the projects, fabrication, and physcomp tags.